Israeli Prime Minister Benjamin Netanyahu said on Monday it would be a “fatal mistake” ever to give up control over Jerusalem’s holy sites. His remarks, in a parliamentary speech, went a little further than Israel’s longtime policy of viewing Jerusalem, a city at the heart of Middle East conflict, as its “indivisible capital”. “The Temple Mount is in our hands and … it shall remain in our hands,” Netanyahu added. The Temple Mount, a site in Jerusalem’s old walled city, is revered by Jews as the place where two biblical temples once stood. 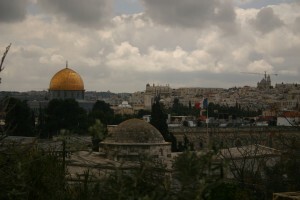 The area also houses two of Islam’s holiest shrines, the al-Aqsa Mosque and the Dome of the Rock. Palestinians want east Jerusalem as capital of a future state in the Gaza Strip and the West Bank, territory Israel also captured in a 1967 war. Western-sponsored negotiations hit deadlock months ago in a dispute over Jewish settlement building in the occupied West Bank and Jerusalem. In a related development, Israel’s parliament passed a law on Monday granting tax incentives to organizations seen as encouraging settlement in Israel and occupied territory, in addition to tax breaks already offered to settlers in the past.